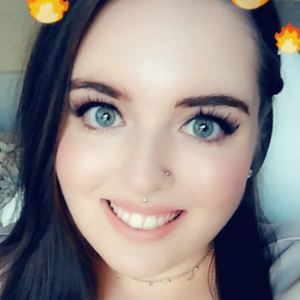 In my January 2017 favourites, I mentioned that one of the things that I had been loving throughout the month was the Galaxy Necklace from my very own little online jewellery store. For me, this is a piece that is quite unique and different to a lot of jewellery on the market. The piece is made up of a 4cm by 4cm half moon pendant with a circular glass galaxy image centre. The pendant comes housed on an alloy link chain with an easy to use lobster closure clasp. This ensures secure wear around the neck. The chain is 45cm in length and for me, it sits perfectly well just below the neck. This necklace isn’t something I’d normally wear. However, I absolutely love the colours and the fact that it reminds me of Sailor Moon, something I loved to watch as a child. Personally, I think this is a little gem and I’m so happy that it is available in my little shop. Speaking of which, if you love the look of the necklace and want to get your hands on it, it is available to purchase for £4.00 including UK shipping. With my jewellery and accessory shop, I keep my prices as low as possible. I do this so that my customers can get some really cool pieces without spending an arm and a leg. However, when it comes to overseas customers I’m afraid I simply cannot offer free shipping. This is because it would actually end up costing me money. That being said, if you are an overseas customer, I keep my shipping prices low. These costs are calculated in the basket area for you. Anyway, today I thought I’d give one lucky person the chance to win their very own necklace. 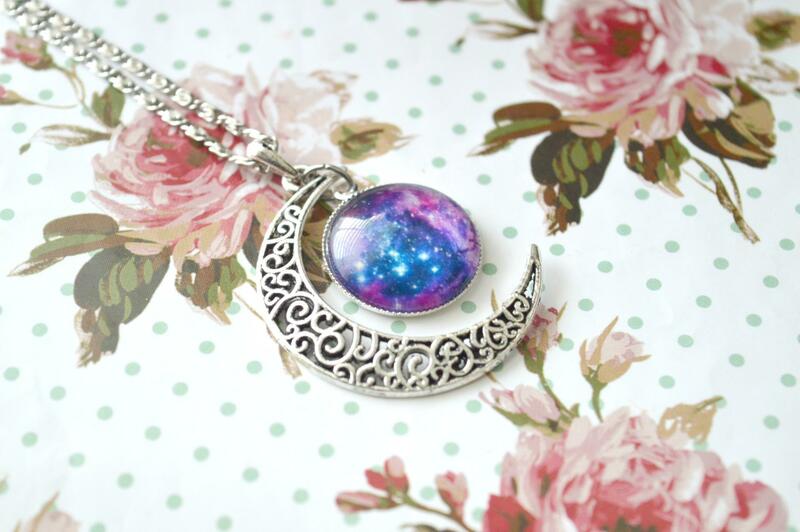 So who wants to enter my galaxy moon necklace giveaway? Simply read and follow the rules below to be in with a chance of getting your hands on your very galaxy moon necklace own necklace. To be in with a chance of winning the Galaxy Moon Necklace giveaway enter via the Rafflecopter widget below. Those using multiple accounts to enter will be completely disqualified. Once the giveaway is over I will contact the winner directly via email. Once an email is sent the winner will then have 48 hours to reply before a new winner is chosen. I am in no way responsible for postal issues however, I will try to help as best as I can to resolve any issues if any unfortunate events did occur. Next Post Can You Really Make Money On Prolific Academic?